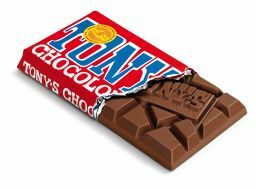 Not just a classic milk chocolate bar, but our classic chocolate bar. It was the first bar we ever made, back in 2005. 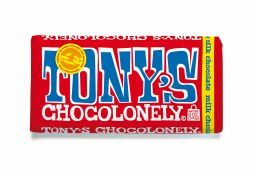 We gave it a screaming red wrapper to attract attention to our main mission - 100% slave-free chocolate. sugar*, whole milk powder, cocoa butter*, cocoa mass*, soy lecithin. *Fairtrade Cocoa solids 32% min. All natural.